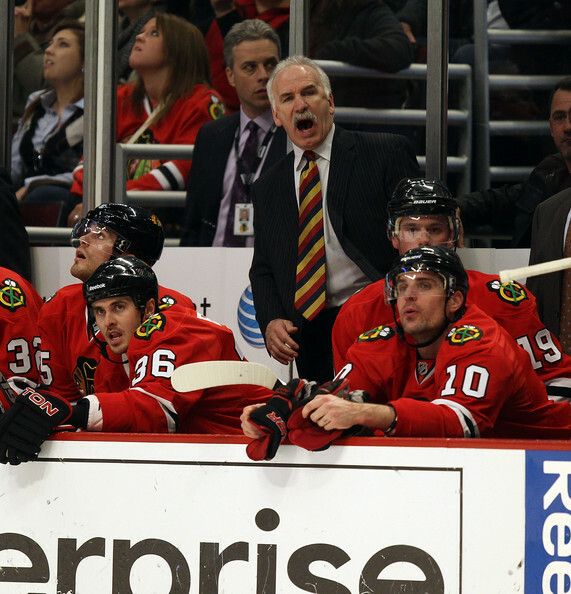 Has Joel Quenneville Lost Faith? In Wednesday night’s loss to the Dallas Stars, Blackhawks coach Joel Quenneville made a number moves that were… puzzling. First, he brought back the same lineup that got a lucky win in Los Angeles. That lineup included Patrick Kane skating on a third line with Fernando Pisani and Dave Bolland, and Patrick Sharp between Bryan Bickell and Tomas Kopecky. Kopecky scored the game-tying goal on Wednesday night, but the third line has been a ghost. The lineup also included John Scott and Ryan Johnson, who combined to skate 12 shifts and under 9 total minutes. Johnson, in the lineup to be a faceoffs and penalty-killing specialist, took three total faceoffs in the game (winning one) and did not skate short-handed. The Blackhawks failed to kill one of the Stars’ three power plays in the game. Then, just a week after suffering what appeared to be a fairly serious shoulder injury, Quenneville skated captain Jonathan Toews over 25 minutes in the loss. That is, by far, Toews’ highest ice time total in a game this season. It is also a serious risk after he was looking at missing as long as two weeks (the initial prognosis). Perhaps the final straw was the closing minutes of the game. Despite boasting the best power play in the NHL against the 24th-ranked penalty kill and trailing by only one, Quenneville pulled goalie Corey Crawford with over two minutes left. Any time a coach pulls a goalie, it’s a sign of desperation. But in these circumstances, it can be seen as little more than Quenneville using a sledgehammer to push a thumbtack. Whether it’s keeping Jake Dowell or Jack Skille on the bench, Patrick Kane on the third line or throwing conventional hockey out the window with an overwhelmingly desperate gesture on home ice, it’s looking more and more like Quenneville is struggling to keep faith in the players he’s been given by Stan Bowman for the 2010-11 season. The television team of Eddie Olczyk and Pat Foley spent a few minutes in the first and second periods barnstorming for Dowell to be on the ice, and the best explanation any of the so-called “experts” could provide was that it was “Dowell’s turn” to be on the bench. 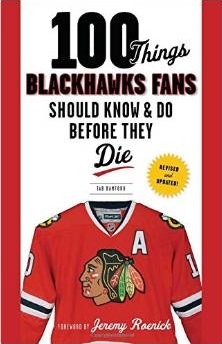 Dowell, Skille, Viktor Stalberg, Jordan Hendry, Nick Boynton and even Bryan Bickell have all been a healthy scratch this year at some point; because of injuries and benchings, only Troy Brouwer, Duncan Keith and Brent Seabrook have played in every Blackhawks game this year. Consistency has not been part of the vocabulary for this year’s Blackhawks. Now, it appears the coach’s decisions are beginning to mirror the schitzophrenic play on the ice. This season is incredibly frustrating. The Stars are a good team, but a healthy Hawks lineup should have beaten them handily. As we move past the midway point of the season, what trades/demotions/etc. do you see on the horizon? Is there any trade value for Bolland, Hendry, Boynton, or even Kopecky? Something needs to change and soon or the likelihood the Hawks make the playoffs decreases. As an aside, do you think the Hawks will find a way to keep Sharp for his last year under contract, or will he be traded to alleviate cap space and replenish Rockford? His stock is trading at an all time high, as he has been one of the more consistent contributors on the team all season long. You have to sign Sharp. The others you can trade but what will you get for any of them? Maybe the same type of player or a draft pick. I think alot of the problems have to deal with the amount of hockey they ” The Core” has played the last two years. I know the are in great shape but thats alot of hockey. You saw what happen with Pitt, they just made the playoffs last year after a slow start.